MU OET 2016 Application Form: The Manipal University Online Entrance Test(MU OET) 2016 application form for Engineering [B.Tech(Regular, Lateral entry)], Medical(MBBS), Dental(BDS), Hotel Management(BHM) is available very soon. Students those who interested and eligible can fill the manipal university registration form through manipal.edu. Candidates looking to study various undergraduate courses can apply this entrance test. Students are requested to read the instruction carefully before going to apply online. The other details such as eligibility criteria, age limit, application form start date, last date for registration, exam date etc will available for our indiagrade.com. UG Level: B.Tech, MBBS, BDS, BHM. PG Level: M.Tech, MD, MS, MDS. The eligibility criteria for engineering, medical and hotel management has changed little bit. We will provide some of important eligibility criteria for your reference. Visit official notification to know complete eligibility. Candidates must complete 10+2 with minimum 50% marks. They should study Physics, Chemistry, Mathematics and biology as major subjects. The age limit will provided later through notification. Step 1: First go to official manipal.edu website. Step 2: Then click the admission link from home page. Step 3: Provide name, address, education qualification, age limit, courses etc. Step 4: Pay the registration fee through online or offline mode. Step 5: Upload the scanned images of photocopy and signature as mentioned. Step 6: Finally save registration form to your computer for future uses. 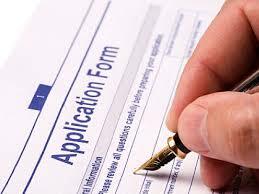 Candidates can get the application form thru State bank of India (&) Syndicate bank. Send the request form with self address envelope along with DD in favour of ‘Manipal University’ payable at Manipur or Udupi at Director, Admissions Manipal University, Manipal – 576104, Tel: 09243777700. Download the application form from official website and fill all information then send it to University address along with Demand Draft.